In the lamest terms foraging is gathering food from the wild. It’s not like hunting, that is slightly different and good luck getting your hands on a wild turkey. In retrospect you could always forage for cans of beans, but who would want that when you can get your hands on some berries or cherries!! Where can you forage for such magical things?? Great Question!! After all the cars and pollution factories have disappeared and mother nature takes over, it won’t really matter where you collect the berries from. However, as we still have all the toxic pleasantry, don’t pick from the side of a highway or urban street. Don’t pick from beside a chemical plant, or from a farm that uses pesticides, don’t pick from someones private property unless they give you permission. Basically, use your common sense. Along the Bruce Trail is fine, however, if you really don’t want to get slapped by the hand of the law (not that it would happen as long as you respect the surrounding environment and habitat) you can get permission from the city to pick on city land, much like a fishing licence. If you live across from a park, even High Park in Toronto in some areas should be fine and don’t want to make the long trek up north, your local park won’t kill you. You may come upon wild strawberries, cherries and perhaps a fruit-filled mulberry tree. The dark center one is almost fully ripened. If you want to pick it so that no one else can have it that is absolutely okay! A deliciously sweet weed. Pick them when they are black and plump. These literally grow everywhere. In shade in sun, they are superweeds. 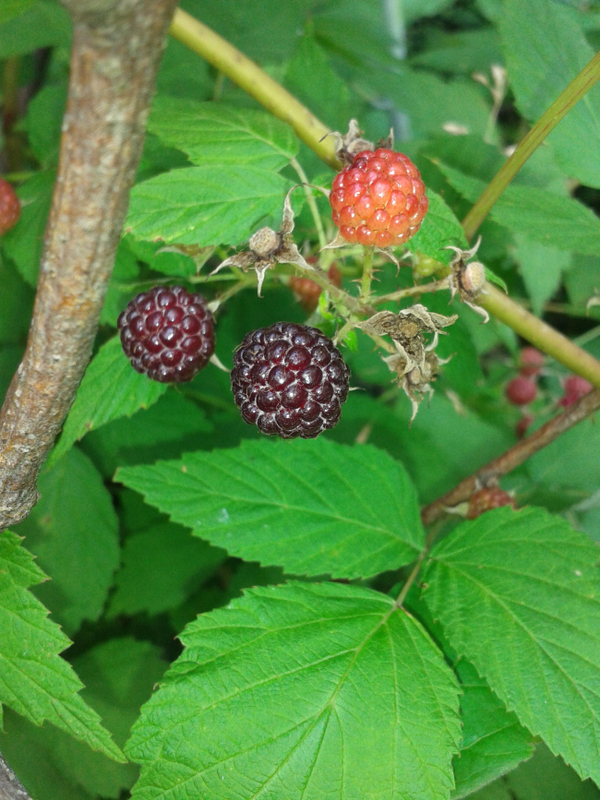 Black Raspberries came across from Europe and have pleasantly infiltrated our lands. Eat them, smush them throw them on some ice cream. 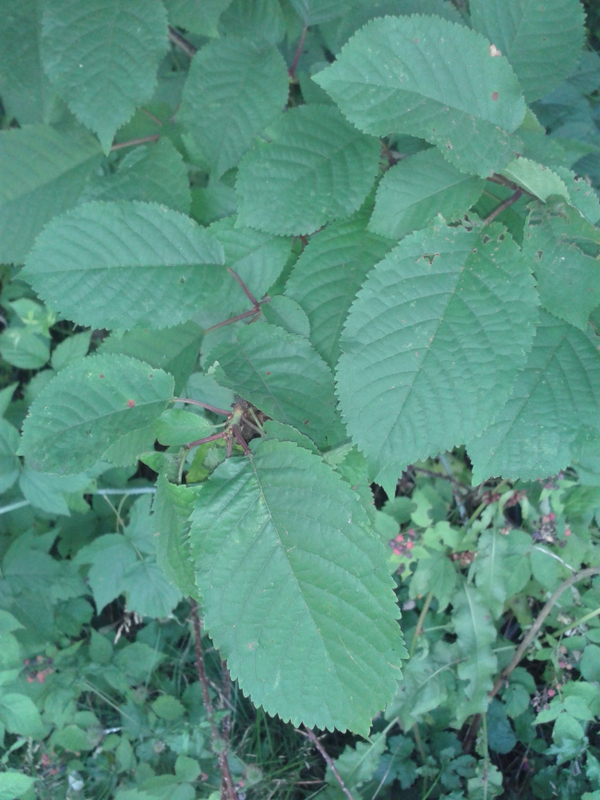 The leaves can be made into tea. Rip them off (gentle) at any time spring to fall and dry them up or have them raw as a tea!! Be careful not to step on them. 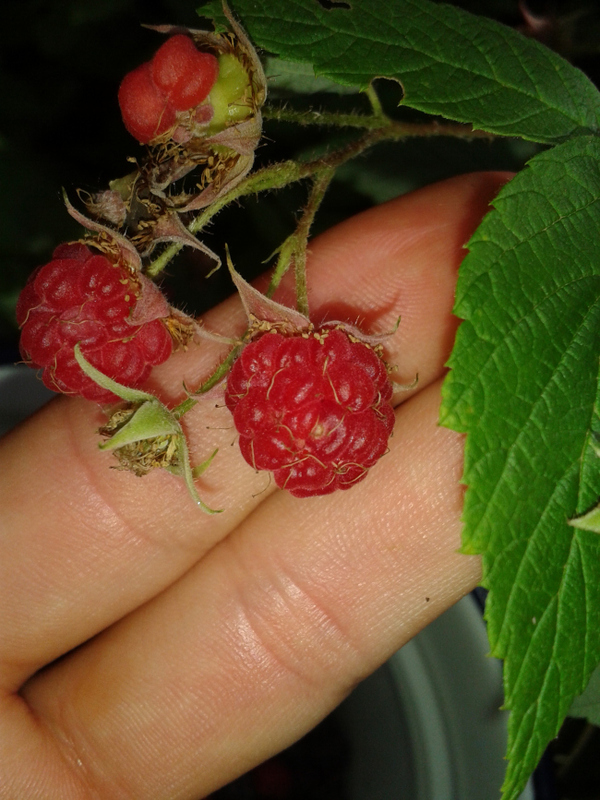 They are far smaller than the strawberry you are used to eating, however, their size does not compromise taste. 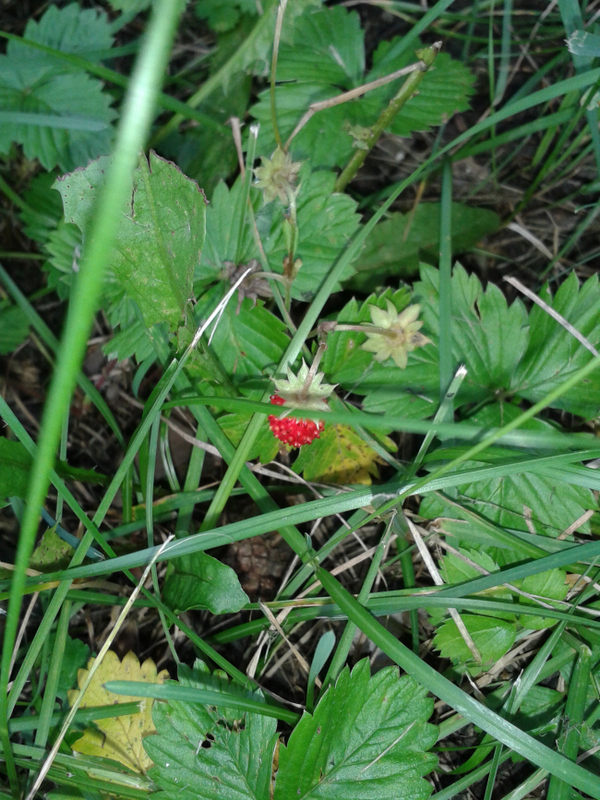 If you look at the leaves surrounding the strawberry, that is the strawberry leaf. It has sharp jagged edges (they won’t prick you). Look around for them on the ground and shuffle your fingers through them. The berries will be hidden under them. 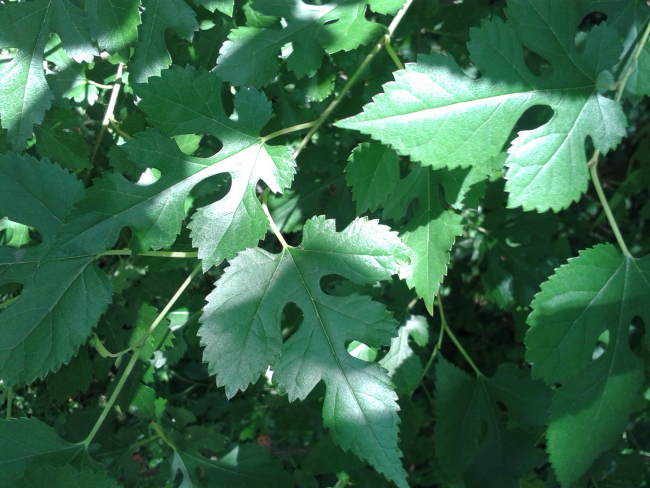 The leaves are quite distinguishable. 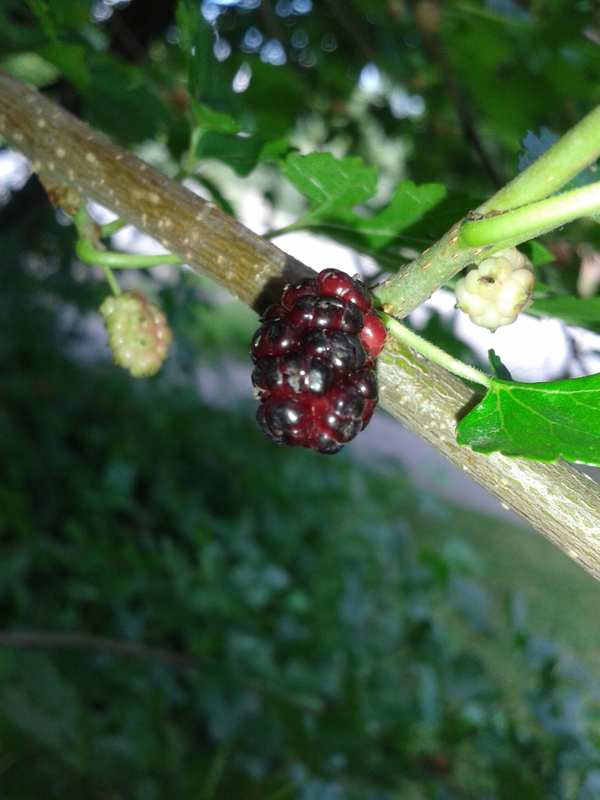 Keep a close eye out for them, the berries are not the easiest to spot. I lived across from a bush for eleven years and only spotted it a week ago. How many times I have walked right past it and never noticed…I don’t even want to think about it. Absolutely delicious, however, they are a delicate bunch. They have a tendency to crumble apart and for the most part, from what I have seen are not as abundant as the wild blackberry. 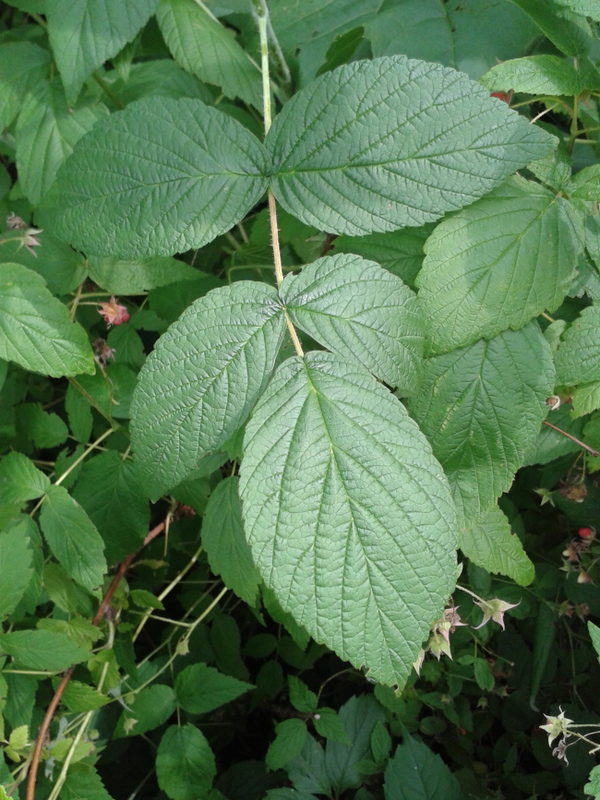 Wild Raspberries Absolutely delicious, however they are a delicate bunch. They have a tendency to crumble apart and for the most part, from what I have seen are not as abundant as the wild blackberry. 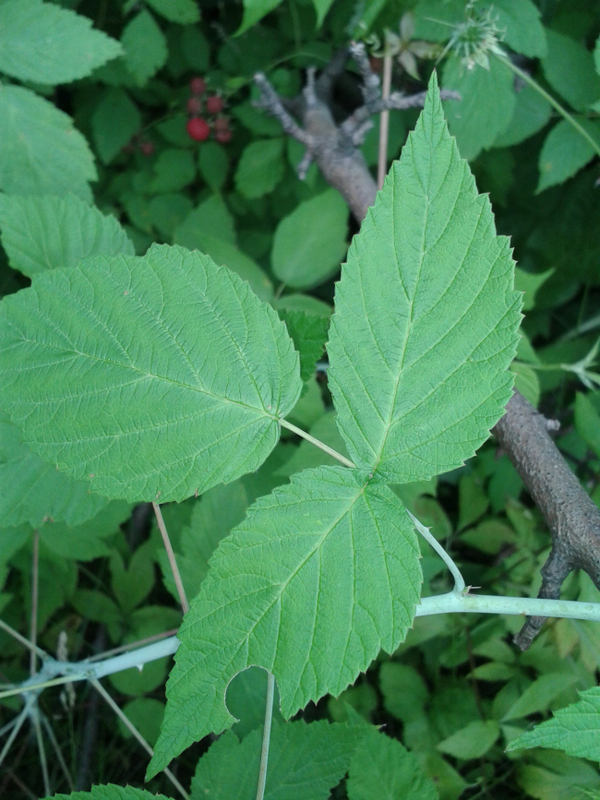 I stumbled upon a wild cherry tree the same day I found the Wild Mulberry bush (I attribute this blindness to the fact that I wear glasses). They are very tart and grow sparingly. 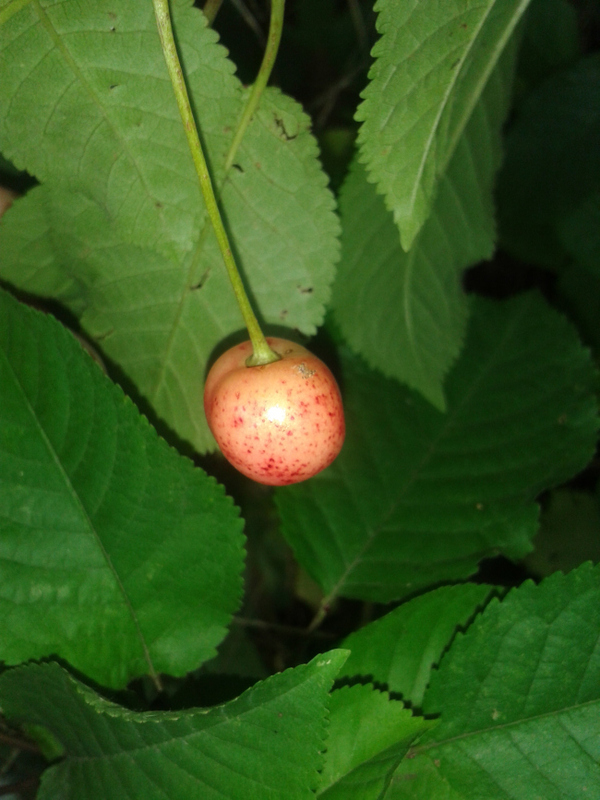 The colours of the cherries will differ, even on the same tree so test them out by softly pressing them between your fingers before you pick them. If they are soft, they are good to go. Yes, that is a milk pail!! 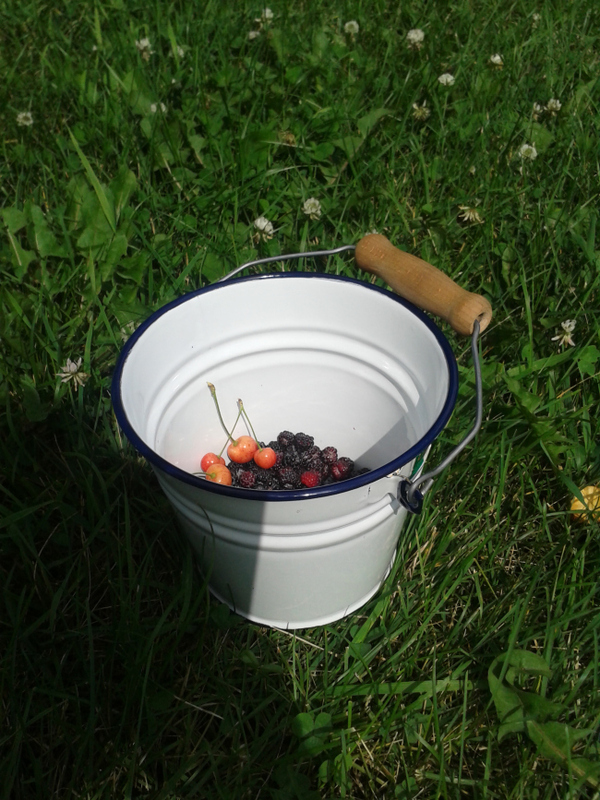 I got it from my Grandmother and I use it whenever I pick berries.